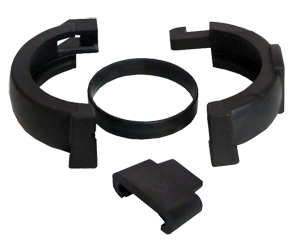 Made of plastic polymer, this clamp is used to connect Heliocol and Sunstar solar swimming pool heating panels. This durable, specially-engineered clamp never requires replacement and never needs to be tightened. The panel clamp allow panels to be mounted closer together for a more attractive and more efficient system with no wasted space. Fits Heliocol and Sunstar solar panels.